The Offis™ will never be the same again. The new collaborative, connected workplace is not only about redefining our mind-set about what furniture we need and how our space needs to be reconfigured to be effective. It also requires a new appraisal of how people and technology interact for the benefit of employer and employee. The technology revolution offers new potential that will require all of us to embrace flexibility to change how we work and collaborate. We have taken what we have learnt about office spaces over the last 10 years and translated this into the system that we use in our own office. Beautifully designed in the trademark Raw Studios look and feel, ergonomic, affordable and practical, the system addresses the more traditional functions and layouts present in office environments, as well as cutting-edge thinking around mobile and highly connected modern office environments. 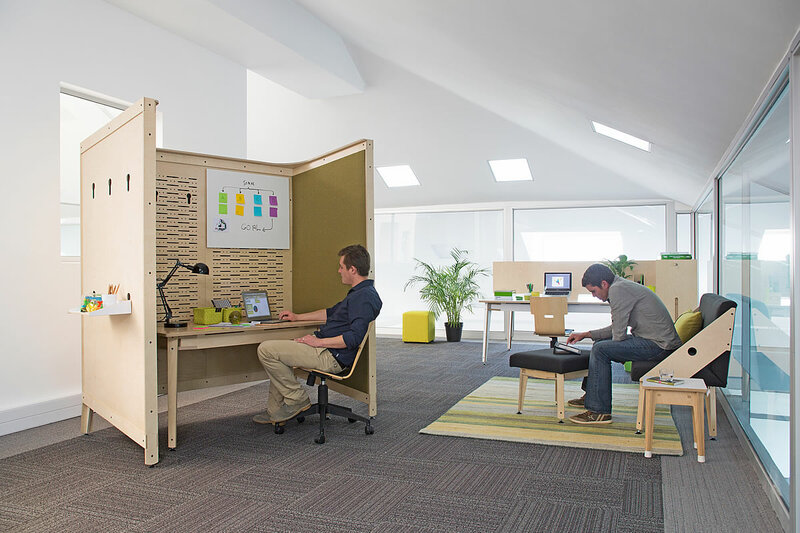 This includes hot-desking and the very necessary flexible-use space between and around traditional workspaces. Raw Studios is proud to officially launch our new office system, named Offis™ at 100% Design South Africa 2014 from 6-10 August. Collaborative space: Including formal and informal meeting spaces, brainstorm and activation or fun spaces. 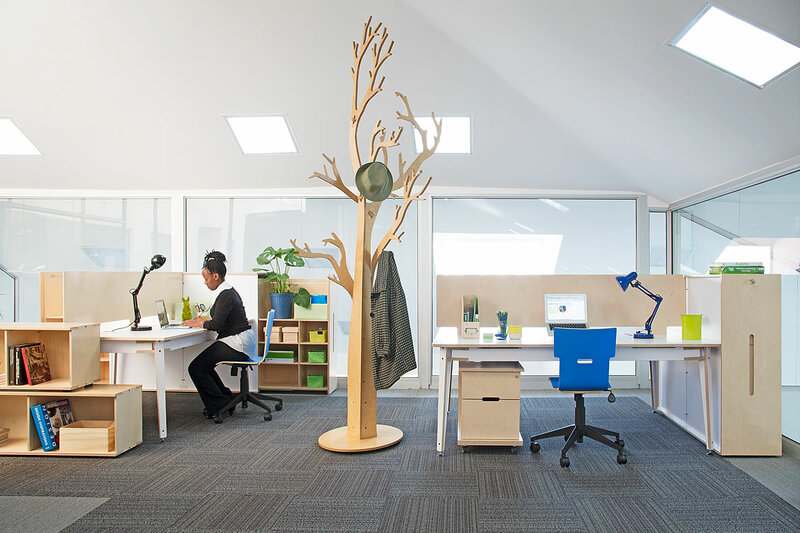 Quiet space: This consists mainly of open workstations and fixed or mobile storage areas. Screened sufficiently for employees to do focused work, but also open enough to promote interaction with colleagues. Private space: Traditionally referred to as a closed office or highly-screened private cubicle, these spaces nowadays are used more when an executive or sensitive workspace is required. With so many size and configuration choices, we are convinced that Offis™ will inject a breath of fresh air into office spaces everywhere! RAW, together with GOET (www.goet.co.za), has a large display stand at this year’s Food Wine Design show. Apart from being a first of its kind in South Africa, this boutique outdoor market features the best local furniture designers/crafters, artisan products, top wine labels, micro breweries and speciality foods. We just love the easy atmosphere, this is a trade show where you actually feel like hanging around a bit longer. Expect to see new products from both brands and some show specials that add up to great value. We have two collaborations going at Decorex Johannesburg 2012. “Decorex Designer collection with Raw Studios” was initiated by Decorex itself to bring some of the coolest designers and craftsmen’s work to the public’s attention, and Raw Studios was asked to ‘house’ them using our popular Ikonik™ woodlockers. Ikonik™ is our take on the traditional steel locker, produced exclusively from Finnish Birch Plywood (even the hinges) and as the name suggests, it has become a very popular must-have object to the public. “Decorex Designer collection with Raw Studios” can be found in Hall 5, stand E77 and an absolute ‘must visit’ whatever you do this year at Decorex. The exhibition runs from 8-12 August 2012 and you stand the chance of winning a Raw Standup™ laptop stand if you swing by to enter. Standup™, the laptop stand you can hardly do without, is also on sale at the stand. PIA – Pretoria Institute for Architects – was the first to adopt our (still under development) klik FS system as they don’t mind being guinea pigs for innovation. We kitted out their stand at the Green Building Expo in July and now again at Decorex Jhb. “It looks fantastic and works even better than expected” were the comments from PIA management and the public at the Green Building Expo. 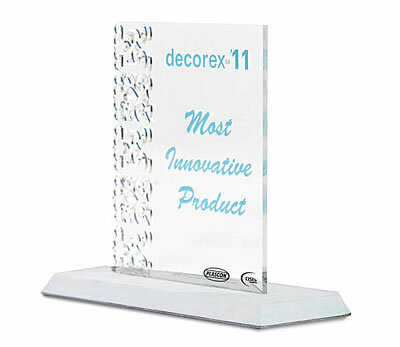 We are sure it will be a hit once again at Decorex. Visit the PIA at Stand G11 in Hall 2 as they exhibit the best that South African Architecture has to offer. Raw and PIA will continue to collaborate throughout the year on expos and the like..